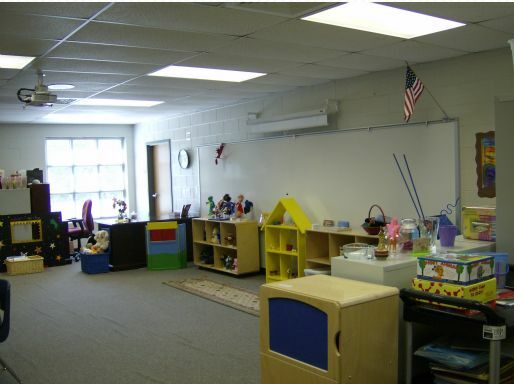 Below is an example of a play therapy room in an elementary school. Note that many of the play therapy toys are hand made. Not everything in play therapy has to be bought. Children love make believe and love playing with home made toys in play therapy sessions! If I introduce a tool or concept to a client in play therapy and they do not respond well to the idea, then I simply go back to my non-directive mode of play therapy. Then I allow the child to lead me where they want to go. So you see that I tend to go in and out of directive and non-directive styles of play therapy based on my client’s needs. As a past educator I have been trained to always be prepared. I get paid a lot of money to have play therapy sessions. 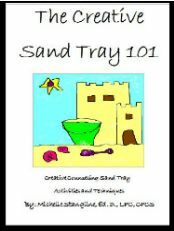 It is up to me as a professional to be prepared with a “play therapy lesson plan.” If the lesson plan does not fit, then I throw it out. 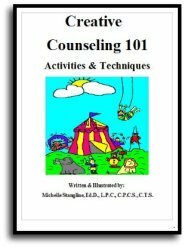 It amazes me how many counselors and therapist go into a session unprepared. I do a lot of research and planning for my play therapy clients. At times I am even requires me to seek further training and supervision. If I do not know what I need to know then I refer the play therapy client out to another play therapist, or seek training and supervision to better assist the client. I always let the play therapy client lead, even when I am utilizing directive play therapy. I find that sometimes I use both directive and in directive in one fifty minute play therapy session. I simply base this on the needs of the play therapy client and follow their lead. When I am using directive play therapy I offer a “make and take” play therapy project. These “make and takes” are excellent because it offers a visual tool to the client that can be taken home. 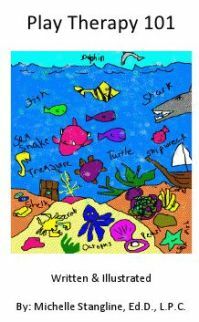 The parents or guardians of the play therapy clients love to see the “make and take” projects. Instead of the parent or guardian asking, “What did you do today in play therapy?” and the child answering, “Nothing”, the child can have something to show to the parent. The parent therefore feels that their money was well spent because a visual representing the play therapy session was shown. The “make and takes” in play therapy are also good for homework projects. The client has a new tool to work with at home and to use if issues arise in between the play therapy sessions. I look at play therapy sessions as stages of development. 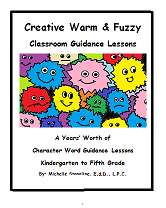 The first few sessions are the “warming up stage” of play therapy. This is the “getting to know you” part of the session(s). We do play therapy warm ups such as the fiddle basket, Zen garden, exploring, etc. Here in these early sessions is where one will find the rapport building and trust building process. This is where you will bond with your client in play therapy and start the journey. 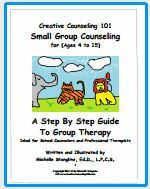 The middle play therapy sessions are the “meat and potatoes or working things out” stage of play therapy. This is where a therapist becomes the most directive, especially when using brief therapy. 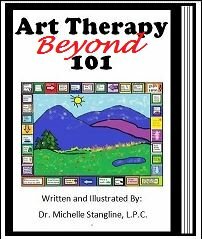 Issues arise and problems are worked through in this stage of play therapy. The client opens up and begins to show the therapist the answer(s) to the problem(s). The client will always have the answers, not the play therapist. A good play therapist knows this and allows the client to find and present the answers to the issues at hand. The ending part of the play therapy sessions are the time to “transfer the empowerment” to the client and “launching” stage of play therapy. It is the process of the play therapy client going out into the world and using the skill set acquired in play therapy. Then, the client will come back to the session to report the happenings to the client. After this part of the process has proved to be successful (One would hope) then a celebration is scheduled and the ending date announced. I am often more non directive in this stage of therapy as the client is learning how to go out into the world and use their new skills. In the ending part of the play therapy process I usually schedule a celebration such as “Everybody’s Birthday” or a “Luau.” Of course the client gets to choose what kind of ending celebration they want to have. We invite parents and celebrate the end of the play therapy process with food, etc. This is a wonderful way to celebrate and end the play therapy process. Also, when you end therapy this positive way, the client and parents will probably choose you if they need a therapist again!